I was initially going for the saran wrap look but hadn’t realised that the cling wrap was supposed to take the top layer of wet polish off your nails as opposed to using the cling wrap like a sponge to apply the polish. I like how my nails turned out in the end though and I thought that the glad wrap worked quite well as a sponge. Here’s what my workstation looked like, I was watching “Girls” in the background. Follow me via the links at the top of my sidebar. If you enjoyed this post I’d really appreciate it if you took a second to “like” it. Tags: Gradient. Bookmark the permalink. Hmm. It looks like you used the gold foil as your base. 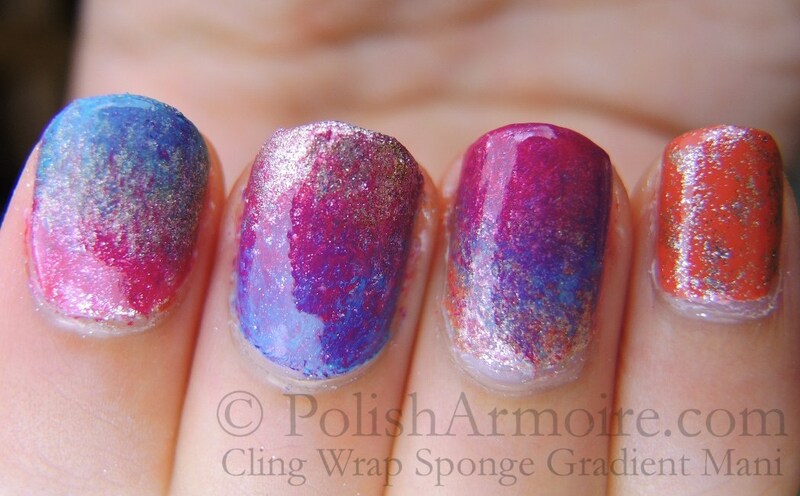 If so, that might be the issue – I’ve found sponging and saran wrap manicures to be a lot harder to do on them. The polish just doesn’t want to stick. That said – whatever this technique is called, I really like the result! It reminds me of paint on an easel. Thanks Harriet! Haha yeah I used gold foil as the base on my ring finger. I think it looks chunky because I was lazy and kept dabbing the polish on even if the previous layers hadn’t dried yet. That’s very pretty! I love the colours you chose. 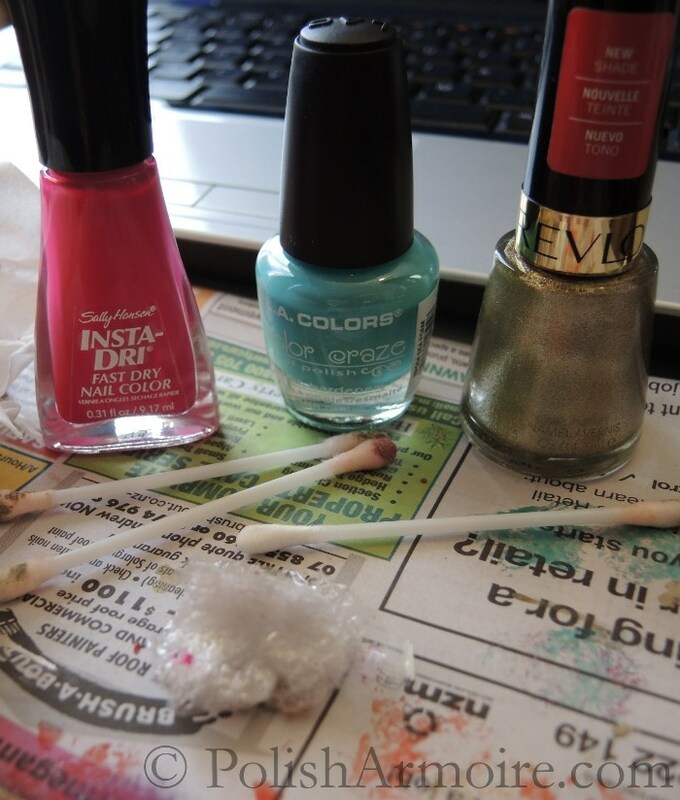 A student who loves dabbling with nail polish in her free and not-so-free time. Based in New Zealand, land of the long white cloud.